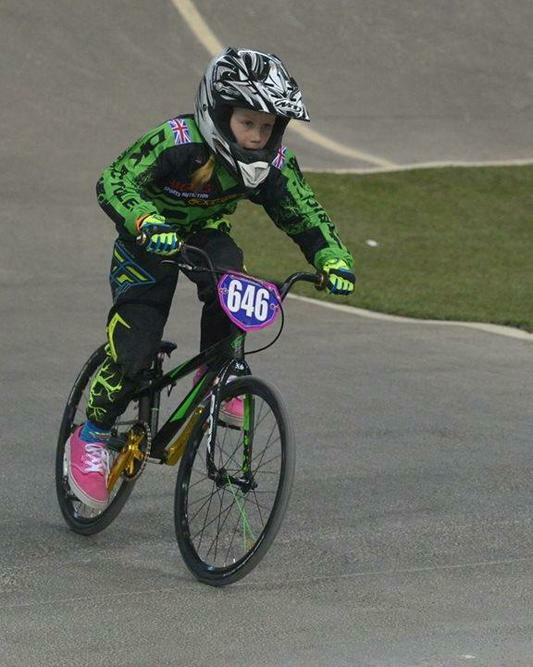 Many congratulations to Freia who is currently in second place after the first 2 rounds of the British National BMX series. The National Cycling Centre indoor track in Manchester was host to more than 900 riders of all ages. Freia was competing at her first national event in the girls 7 - 8 age group. Each round consists of three qualifying races (motos) and a final. With a 1st, 5th (after a fall) and a 2nd place in the first round, Freia qualified for the final and finished in 3rd place, winning a bronze medal. A very tired Freia qualified well in the second round with a 1st, 2nd and 4th in the motos. In an action packed final Freia got a fantastic start from the gate, went into the first corner in 2nd place and held on to the silver medal position all the way to the finish line. Congratulations and good luck, Freia, in the next 2 rounds at CycloPark in Gravesend in April.